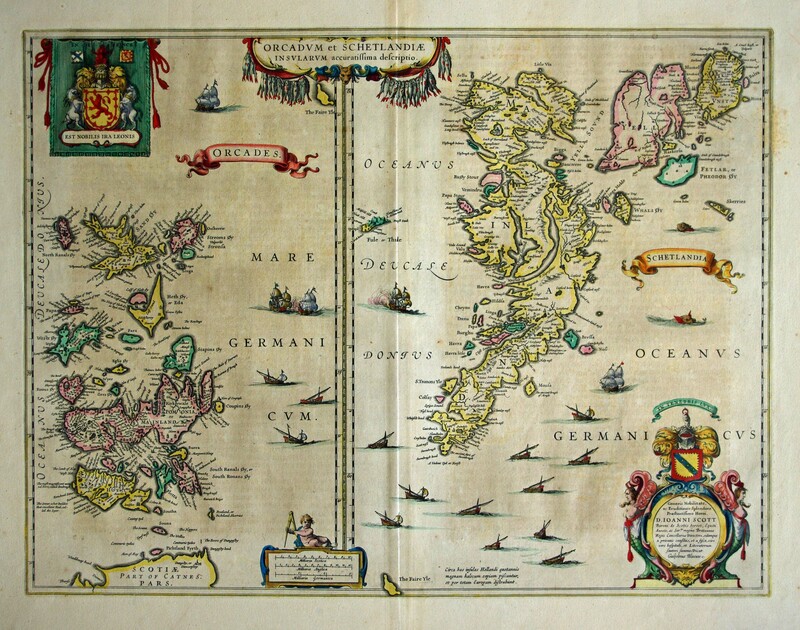 Blaeu's map of Orkney & Shetland, German text. We have another Blaeu of Orkney & Shetland - Framed & glazed at £599. Condition&colon; Good, Repair to centrefold.